Can you believe that in a couple of weeks time James will be a one year old? I really can’t. Time has gone by so quickly and suddenly our baby boy has morphed into a big boy! This has been, without a doubt, the most fun year of our lives. James brings so much happiness to our days and sometimes I can’t image what life was like before him. At 11 months old, James is doing amazingly well. We watch proudly as he finds his own personality, develop his tastes, learns new things and sees the world with fresh new eyes, full of innocence and amazement. Everything is exciting and worthy of an adventure! 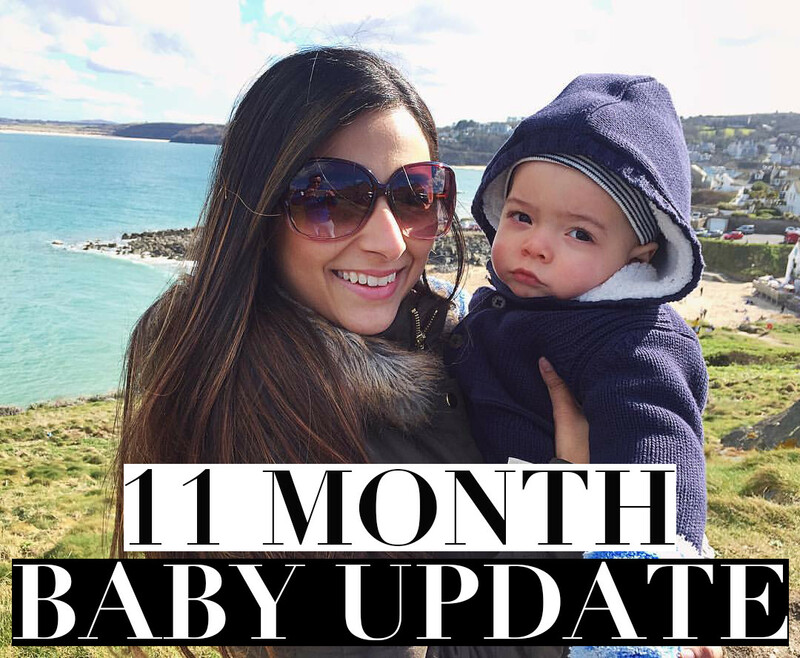 If you want to know more about James’ development and to see lots of pictures and videos of this cutie pie, please press the play button below to watch my 11 Month Baby Update video or click here. We’re now in full-on party planning mode! James is having two birthday parties – a smaller one with our family in the UK and a big b-day bash with my side of the family in Brazil. We’re really excited to celebrate his first birthday, but at the same time, a bit nostalgic that his first 12 months of life went by too quickly. On another note, I would love some ideas of what presents to give to a one year old. We want to give James one main present and a few smaller bits, so I’d love to know what you guys recommend! If you enjoyed this video don’t forget to give it a thumbs up and subscribe to my channel so you don’t miss any of my videos. Receive all my new posts & videos for FREE via email!